Is your fleet looking for something more? Are you tired of the cookie cutter products on the market designed for a fleet other than yours? You now have options with our Enterprise Bundle. This can be added onto any one of our product tiers so you buy only what you need. 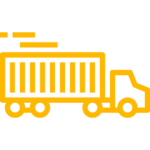 The concerns of large and enterprise fleets are very different from the small and medium businesses and Gorilla Fleet Solutions has listened. The new tools now being offered make life easier for fleets managing multiple locations, several DOT numbers across different verticals and time zones. Synched up systems and tools are required in t he modern business world. Your fleet is no different and your team craves the ease of doing business. 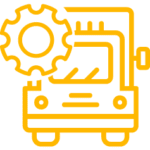 While it may not be possible to integrate every part of your business, Gorilla Fleet Solutions allows you to integrate the critical parts of your fleet operation. In order to deploy an integration plan, you will need to start with your central platform. If you don’t have one now, you can use Gorilla Fleet Solutions for this. 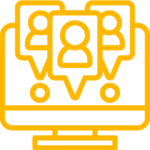 Your team will create a link to your account in order to access all driver, truck, history, fuel, repair, accident and other data will be available to use in your other platforms. 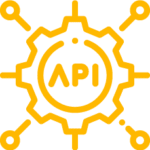 Check out the basic API information here. If you need more details around what’s available and how to use it, reach out and we will help each step of the way. Managing your business is hard enough even with the right tools. Keeping up with the details can be daunting and keeping your team in sync is nearly impossible, until now. 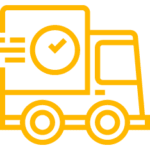 Gorilla Fleet Solutions has developed a set of tools designed for the large and enterprise fleets in order to give you visibility, access and control over the tools you need while preserving controls, personal identifiable information and security. Key to the ease of running a fleet is keeping up with the hours a driver operates to be sure he does not create a violation. The dynamic logbook not only allows for a clean and easy view into the driver’s availability, it allows you to see where he’s been today, any violation and easily correct mistakes in his logs. Large fleets tend to be more nuanced with varying equipment types and divergent needs across the corporation. Dynamic DVIR’s allow for the fleet operator to be sure the right things are being inspected and repaired each and every time. 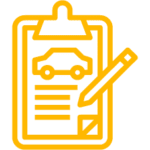 While we track the driver as he completes his inspection to assure it’s not pencil-whipped, we also allow you to configure the vehicle inspection to account for specialized equipment, different circumstances and operational requirements. 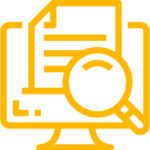 Have you ever had an audit nightmare because you couldn’t find the right information at the right time? Gorilla Fleet Solutions has developed tools to make the bulk document retrieval and management a snap. The ELD Mandate has changed the way a fleet operates in a number of ways. One of the most painful is the management of the unidentified driving time that accumulates for the drivers when they operate a vehicle while not being connected. 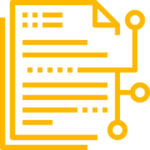 Gorilla Fleet Solutions has developed, with the help of its partners, an advanced tool to make these edits and changes very simple and efficient. This bulk edit feature is here to give your team time back through accuracy, speed and efficiency of operation. Most large fleets have a different manager at each terminal, department or location. It’s important to keep the right data in the right place with permissions and filters. Gorilla Fleet Safety offers the ability to add multiple fleet managers to your fleet at any level you would like. This could be at the company level, region, department or even the location. Flexibility is key and we offer it. 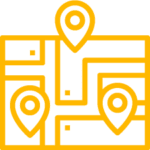 Your fleet likely has multiple locations across the region or country. If that’s the case, you might even have multiple DOT numbers because of operational requirements, acquisitions or any number of other reasons. When you have this, you need to be sure the DOT numbers reflect the right location from which the driver is operating. This solution provides you with maximum flexibility. 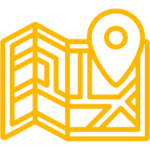 If you need a certain DOT number in each region and each region has two terminals with five departments or locations each, we have the solution that’s right for you. Drivers in large operations are faced with challenges small and medium fleets simply don’t have. This is the reason we have developed a solution to keep them on the road and compliant. Certain operations have a driver who might need an ELD periodically but usually he is not operating on a DOT trip. If your operation is like this, you now have the solution available you need to operate within compliance. This might not seem like an important tool, but it is. 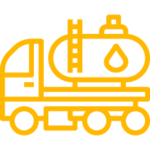 There are many operations in the construction, oil and gas, services and other trades and industries that have workers in environments where they will use this. The most common cases are a driver who is teaming up with another driver or group of drivers and will remain on duty while another person drivers the vehicle away temporarily. In this case, the logbooks need to accurately reflect the time driving and the time On Duty Not Driving. Certain operations require a driver to use a flatbed or other truck type requiring periodic load securement checks. This is important as loads can shift, straps and tarps can loosen and debris can cause damage. With this package, you can configure the use of the load securement reminders and tools to keep the driver and load safe and secure. Many fleet operations require the use of Yard Moves and Personal Conveyance. While the ELD mandate does not allow for drive time to be edited to non-driving time, it does allow for the driver to correct his logs to reflect personal conveyance or yard moves. This advanced feature will help ensure your fleet remains compliant while being able to use the flexibility afforded by the mandate. Critical to managing a large fleet is record keeping. While phones and tablets are great for communication, they may not be the best place to keep critical customer, jobsite or compliance records. 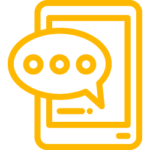 Gorilla Fleet Solutions is able to offer your fleet its Advanced Messaging product so your drivers, fleet managers and other stakeholders can communicate when it’s important to do so.